Many people have wondered why Hillary Clinton did not retire to the woods after her 2016 presidential loss to Donald Trump. It seems we’ve seen more of her this year than during her 2016 campaign, and the reason for that may be that she has been in campaign mode for 2020. 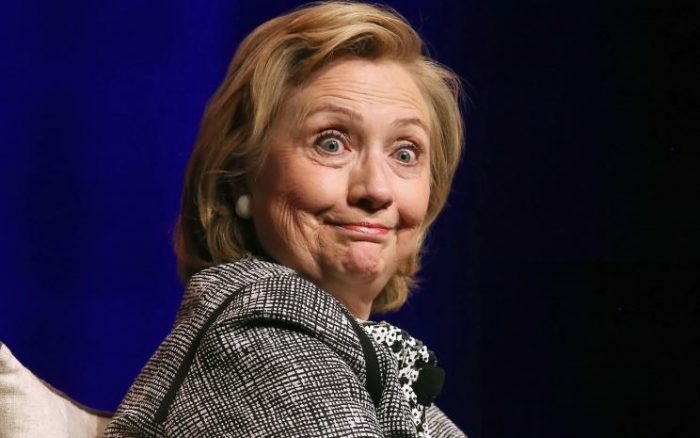 To the dismay of the presidential hopefuls who will be vying to win the Democratic nomination, it appears that Hillary Clinton is going to run for president in 2020. A Wall Street Journal opinion piece co-authored by Mark Penn, Clinton’s adviser in 1995-2008, came out under a somewhat clickbaity headline: “Hillary Will Run Again.” The 2016 Democratic presidential candidate herself never said she would or would not do that, but the authors – Penn and former Manhattan Borough president Andrew Stein – believe that a “Hillary 4.0” is on the way, RT reports. Get ready for Hillary Clinton 4.0. More than 30 years in the making, this new version of Mrs Clinton, when she runs for president in 2020, will come full circle – back to the universal-health-care-promoting progressive firebrand of 1994,” they wrote in the op-ed published on Sunday. Penn and Stein believe that Clinton should lean further left, capitalizing on the #MeToo movement, advocating universal healthcare and stricter gun laws. The pair claimed that Clinton wants another bite at the apple to unseat Trump after her “humiliating loss” to him in 2016. They also suggest that Hillary will “come full circle” back to some of her most cherished ideas. “[T]his new version of Mrs. Clinton, when she runs for president in 2020, will come full circle — back to the universal-health-care-promoting progressive firebrand of 1994,” they wrote. Retweet if @HillaryClinton would be crazy to run against @POTUS @realDonaldTrump #KAG2020! Ahead of the midterms, President Trump told Fox News’ Laura Ingraham that he “would be very happy with Hillary” as his opponent, adding that so far he “likes” all his potential challengers.